REPLACEMENT WATCH STRAPS AND BATTERIES? Thankfully our Customer Services department is pretty quiet most of the time. We get very few requests for repairs or issues under guarantee which we believe is credit to the quality of the products we offer. So much so that whilst our policy is to provide every watch with a two year guarantee we've managed so far to fix any issues and return the watch free of charge to the customer beyond the two year limit providing they ship the watch back to us securely at their cost. Can I get a new strap? Why is the second hand on my mens watch 'jumping' at four second intervals? Leather watch straps are made from natural sources and so over time they will perish especially if they get wet repeatedly. Silicon straps are fairly durable with the most common request relating to a broken strap retainer. Stainless Steel bracelets are for the long term and apart from the occasional scratch, most common around the clasp, they should last a lifetime. So in the main customers are looking for a new leather watch strap to replace one that is very worn or is past it's best, perhaps with some grubby tips or edges. You can order a replacement watch strap from the Accessories page on our website - there is a link in the footer of every page. Please check the description to ensure that the strap can be fitted to your model. Even though it is possible to change a strap if you have the right tool, we would always recommend taking the new strap to a jeweller especially for our Sport models where the watch strap is fitted tightly to the watch case and ask them to fit it. We ship the new watch strap in a free ETIQUS watch case to protect it ... and as you know already our watch cases are pretty useful things! 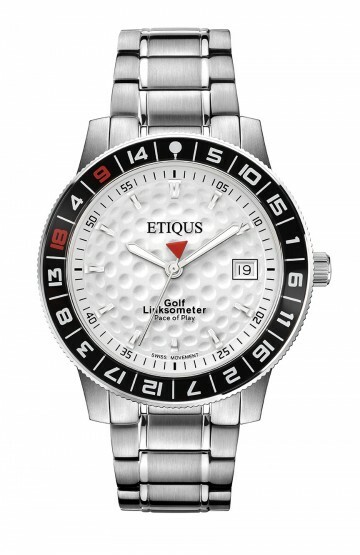 Our mens watches have a Swiss made quartz movement with a power reserve capability. This means that when the battery is low the second hand will jump at four second intervals. 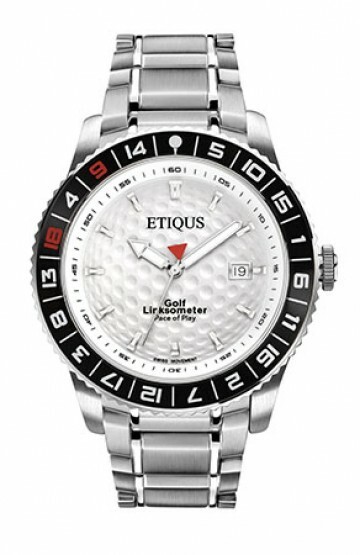 The watch will still keep perfect time but when this happens you should take you watch to a jeweller who will be able to correctly change the battery and reseal the case properly. So no, when the second jumps it's not broken, it's just letting you know in advance that it's time to get a new battery fitted. 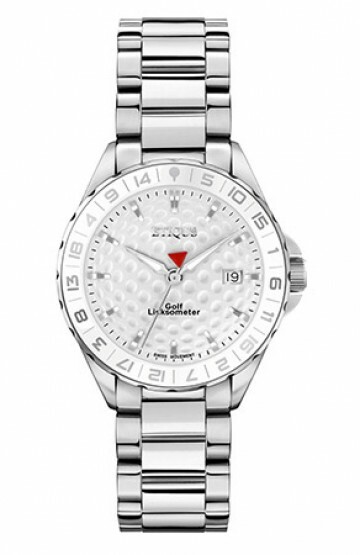 Our Ladies watches have a different movement which unfortunately doesn't have the power reserve feature and so when the battery is used the second hand will stop ticking. 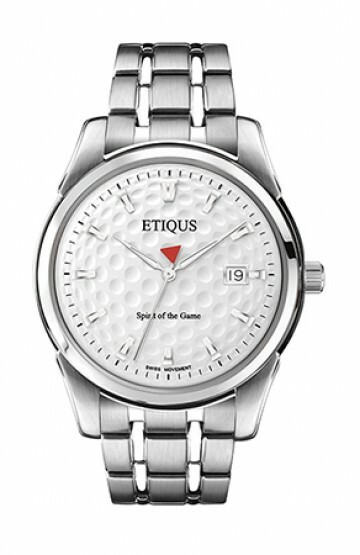 So we hope that clarifies a couple of useful things for owners of an ETIQUS Golf Timepiece.